Staines Town FC Academy, working in partnership with Kingston College, are looking for talented players aged between 16 and under 19. Our base at Kingston College provides outstanding outdoor and indoor facilities for the Football Academy. The Men’s Academy is based at our private training ground, which is situated in Bushy Park near Kingston. 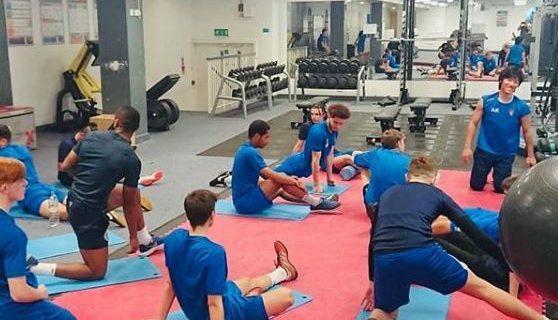 All students will train on Tuesday and Friday mornings, with additional weight training programmes, using the Kingston College Arena gym with additional specialist training for goalkeepers. All Academy players receive coaching from our UEFA ‘A’ and ‘B’ licensed coaches, and take part in weekly fixtures against high-level opposition – a shop-window for players to be seen by professional or semi-professional clubs. Our competitive teams take part in the leagues mentioned opposite, as well as competing at Reserve level in the Southern Combination Cup. We also run a Development Squad, for up-and-coming Academy prospects.